As we look forward to an exciting new year and kids are back to school, it’s essential that we get our children’s developing body’s and mind’s ready and that we keep healthy with good food choices and eating habits so they are best equipped to make the most of their education and we can all fulfil our life dreams. Every time we eat we have the choice to feed or fight disease. Do You Really Need A Detox? 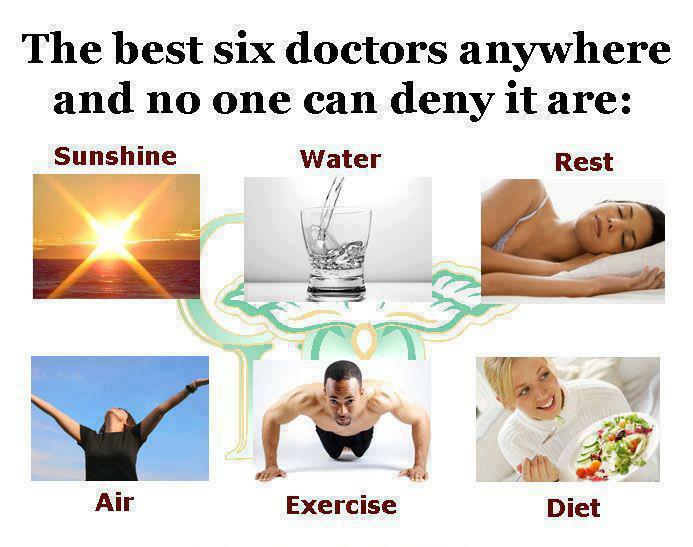 Our bodies naturally detoxify everyday as part of a normal body process. Detoxification is one of the body’s most basic automatic functions of eliminating and neutralizing toxins through the colon, liver, kidneys, lungs, lymph and skin. Unfortunately in our society; with the pollution found in the air, water and food we eat, our bodies are overloaded. Toxicity and deficiency are the root of disease. You must detoxify and replenish your body to activate its natural healing mechanism. When you eat good, organic, natural food free of additives; yourbody effectively detoxifies the way it was designed to do. It’s a lifestyle choice not a once in a while diet. 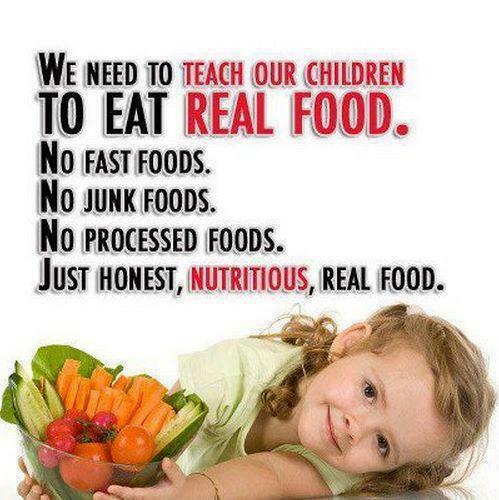 The best thing you can do for your child is teach them good eating habits – survival for life. Start them young on good food and they won’t want anything less. Love, them, reward them and celebrate them with good natural food choices. Here are some important tips to keep your health in check. Say No to Refined Sugar, Corn & Artificial Sweeteners: Sugar is highly addictive, more so than some illegal drugs, it upsets the bodies PH balance, wreaks havoc on the mind, and feeds disease. Sugar side effects not only cause behavioural disorders and disease, they are also responsible for the soaring rates of obesity, one of the leading causes of preventable death. Refined sugar is also known by numerous names including: glucose, fructose, sucrose, dextrose, galactose, corn syrup, cane juice, barley grass, ethyl maltol, lactose, maltose, sorbitol, etc. High amounts of sugar are found in most processed foods including; ketchup, hot dogs, flavoured milk, soft drinks/sodas, breads, cereals, packaged fruit juice (including 100% package juices that are heat treated killing nutrients and leaving concentrated sugar), etc. The body quickly converts corn to sugar and most if not all corn is Genetically Modified. For a healthier alternative opt for Raw Organic Honey, Stevia or Birch Xylitol. Avoid Trans Fats and cooking with oils: Trans Fats are variants of unsaturated fats, which have been chemically altered to improve their physical characteristics. Dairy milk also has Trans Fats. Avoid labels such as “shortening”, “partially hydrogenated” or “hydrogenated”. Trans Fats elevate harmful LDL Cholesterol and lower good HDL Cholesterol; can lead to heart disease, diabetes, obesity and other diseases. Avoid foods like chips, pastries, margarines and fried foods. Cooking of vegetable oils with the exception of coconut oil all renders them toxic to human health. Avoid dairy: Many people are unable to digest the protein casein found in diary milk causing numerous allergies including: eczema, acne, kidney disease, arthritis, asthma, irritable bowel, sinusitis, colitis, MS, behavioural disorders and some types of cancer. Opt for 100% natural coconut milk or almond milk. Avoid Wheat & Yeast: Research indicates that most people (80%) unknowingly have adverse health reactions to wheat including gut inflammation, weight gain, and auto-immune illness. Wheat has also been shown to deplete the body’s vitamins reserves and nutrient absorption. Yeast, creates bad bacteria (candida) in the gut causing an imbalance and leading to many diseases and adverse reactions. Opt for nutrient rich and healthy flours such as coconut flour, lentil flour and almond meal and use allergy free baking soda instead of yeast. Avoid Processed Foods: Preserved/processed “food” is laden with chemicals, unnatural and nutrient deficient therefore it will NOT preserve your life but rather provide an optimum environment for “dis ease”. It’s that simple. Say No to Additives & Preservatives: Our bodies were designed to eat foods in their natural form. Processed foods & additives cause a state of “dis ease” in the body as well as a number of allergic reactions. Australia is currently allowed over 60 additives that are banned in foreign countries due to their proven adverse reactions to health. 1. Artificial Colours (102+ range) – (Soft drinks/Sodas, cakes, lollies, cookies, sauces, savoury snacks, ice-creams) -allergies, sinusitis, hyperactivity, worsens ADD & ADHD symptoms. 2. Sulphite Preservatives (220-228) – (dried fruit, sausages, deli meats, fruit juice) – allergic reactions, asthma, kidney & immune-toxicity, skin problems. 4. Annatto (160B) – (cereals, beverages, ice creams) – irritability/restlessness, head banging, sleep problems, headaches, etc. 5. Benzoate Preservatives (210-213) – (sport and fruit drinks, flavoured water, jams)- hyperactivity, asthma, headaches, stomach upset, may damage DNA in cells. 6. Flavour Enhancers (620-635) – (sauces, gravy mixes, cube stocks, savoury snacks, two-minute noodles, deli meats, hot chips and BBQ chickens allergic, tinned foods) allergic and behavioural reactions, depression, nausea, kidney disease, heart palpitations, etc. 7. Nitrate/Nitrite Preservatives (249-252) – (deli meats and bacon, cheeses) -behavioural problems, allergies, skin irritation, stomach upset. 8. Synthetic Antioxidants (310-12,319-321) – (butter-oil blends, chewing/bubble gums, instant dried mashed potato) – recognised carcinogen; causes respiratory, endocrine, skin, liver, immune and neurotoxicity. 9. Sorbate Preservatives (200-203) – (cheese, icings, jams, dried fruits, yoghurts, pastries, toothpastes) – hyperactivity, stomach upset, headaches, skin irritation. Eat more organic fruit & vegetables and raw where possible: Organic fruit and vegetables (green is best) are free from preservatives; nutrient rich and easy to digest; they help to alkalize your body, increase your energy, mental clarity and body function; as well as naturally detox, cleanse and protect your body against disease. Raw/uncooked fruit and vegetables have a higher nutrient level. Drink Clean Filtered Water: We should drink at least 1 litre of pure, clean water per 25kg of body weight. If you take medications, drink coffee or alcohol you should drink more. Our bodies are approximately 60-70% water. Your body alerts you it is already dehydrated by feeling thirsty, so it’s important to drink water regularly before you feel thirsty. Tap water is not the best option due to lack of minerals; pesticide and heavy metal residue, fluoride and other chemicals. Eat Wild Caught Fatty Fish for Omega 3: Omega 3 is essential for healthy brain, eye and heart development and function as well as for improved learning ability and behaviour. The body does not produce Omega 3 so it’s important to eat three to four serves per week of good quality wild caught Omega 3 rich fish or take quality Omega 3 supplements daily. Enjoy More Regular Physical Activity and Outdoor Play:Toxins are stored in the fat cells of our bodies. Daily physical activity for at least ½ hour per day works to use the body’s fat stores as energy, detox and helps the body to produce serotonin, the feel-good hormone. Research shows, exercise also simulates memory and the brains ability to learn. Encourage Earthing: Get outside and walk barefoot on the grass, beach and earth. Studies show that this “grounds” us allowing us to absorb “negative” ions from nature that work to combat the toxic effects of “positive” ions produced by computers and other electrical devices. Discourage Stressful situations: Stress is a killer – negative emotions negatively impact your body and health. Keep positive by not stressing about the things you can’t control, watching comedies, meditating, exercising, enjoying nature and avoiding stressful situations. For more information and access to good natural food choices, healthy lunchbox snacks and educational books & DVDs visit www.itzallgoodfood.com.au where all food and products are 100% natural and free of sugar, dairy, wheat, yeast, corn, artificial additives and preservatives; include a variety of foods that are organic and raw; and fit into diets for Celiac Disease, Autistic Spectrum Disorder, Vegans and more. We will continue to search for and add new products that honour this commitment. For free recipes: “Like” Itz All Good Food on Facebook.